Tune In to Pure Pop Radio’s New Music Explosion. Pull Up a Chair: Day One is Here! Wow! The countdown is complete… Pure Pop Radio’s New Music Explosion is here! We’re ready, willing and able to bring you hundreds of songs and artists that are new to our playlist. We’ll be rolling them out over the next five days. Click on one of the listen links below to sample these shiny, happy wares! So what’s new on Pure Pop Radio? We’ve got a huge list to share with you, so let’s get things cookin’, shall we? The Doughboys | Hot Beat Stew It’s business as usual when New Jersey’s hot rockin’, beat driven brand of supersonic jet propulsion-fueled pop and roll blasts its way to and through your heart. 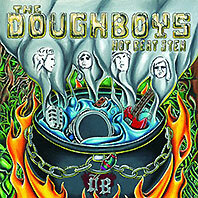 The latest platter from the Doughboys makes its debut on Pure Pop Radio with nearly all of the tracks on offer. From the get-out-of-our-way rumble of the slamming “Be My Baby,” which recalls Wings’ “Spirits of Ancient Egypt” (ramped up with Doughboys DNA), to the straight-ahead rock and roll of the hot and sweaty “Heartache,” and the early Rolling Stones, mid-tempo love song “SoHo Girl” (with more than a hint of Brian Jones muscle), Hot Beat Stew is a clear winner. Take a well-deserved, rocking bow, Mike Caruso, Gar Francis, Myke Scavone and the man behind the drum kit, Richie Heyman. Now playing in rotation: the aforementioned Doughboys classics, plus “Shake It Loose,” “You Can’t Catch Me,” “Crave,” “For Your Love,” “Travelin’ Salesman,” “Biding My Time,” “Until Now,” and “Kamikaze.” (The band’s cool cover of the Motown classic “The Tears of a Clown” was previously added.) Hot stuff. 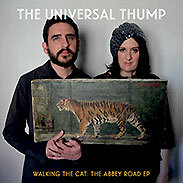 The Universal Thump | Walking the Cat: The Abbey Road EP Adam and Greta Gertler Gold, also known as the Brooklyn, New York-based duo the Universal Thump, released a wonderful, self-titled album in 2012, tracks from which are still playing in rotation here at Pure Pop Radio (we’re also spinning some of Greta’s solo tracks). This new EP, recorded at the famed Abbey Road Studios, is a fantastic collection of songs that showcases, in particular, Greta’s soulful piano playing, songcraft and lovely vocal turns. The grand opener, “Sunset Park,” sets the stage: A “Be My Baby” drum beat ushers in Greta’s fragile vocal, which leads to a classically-constructed number that is part art-pop and an affectionate nod to the singer-songwriters of the late sixties and early seventies. The title song is a leisurely ballad that slowly becomes something more upbeat as the cat, so to speak, takes hold of the rhythm. We’re spinning both of these numbers, and “Cockatoos,” “Watch the Sunrise,” and “Treehouse.” The whole enchilada, in fact. We’re proud to bring you these wonderful sounds. Peter Lacey | “Wayward Song” and “Many Moons Ago” We’re always happy to play just about anything Peter Lacey releases. We’ve been big fans of Peter’s music for a long time; we included his last album, Last Leaf, in our list of Favorite Records of the Year in 2014. 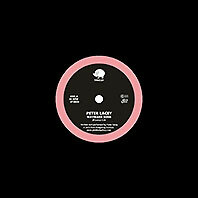 Peter’s new single, available as a download and/or a seven-inch vinyl spinner, rates very highly in these parts. 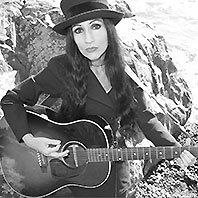 “Wayward Song” is a tender, piano-based ballad with pretty chord changes and slight echoes of Brian Wilson, with a lovely melody and a ghostly, atmospheric middle section (that propels the song into new, more upbeat territory). “Many Moons Ago” is a nostalgic charmer, beautifully arranged and sung. Simply wonderful. 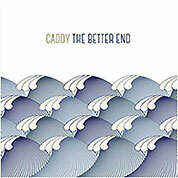 Caddy | The Better End Hailing from Norway, Tom Dahl, aka Caddy, makes great melodic pop music influenced by all the right names we could easily drop, but why spoil your fun? 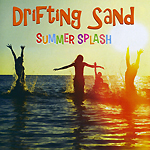 Okay, we’ll spoil it a little: the sensitive title track benefits from a thin coat of Beach Boys paint, and “Saint-Cyr-sur-Mer” is quite reminiscent of Teenage Fanclub-styled balladry (as is the delightful, mid-tempo ballad “One Year Off” (oh, those glorious harmonies!)). Meanwhile, the rest of the album swims in equally delightful waters. “Miss Radio” is an uptempo gem, a love song with powerful guitars and Dahl’s sweet vocal harmonies, and “Into the Sun” swims through power pop waters for a catchy number perfectly poised. We’ve added all of the songs we just mentioned, and these classics: “Here It Comes Again,” “Fangblenny,” “Chasing Clouds,” “No Sudden Moves,” and “Autumn Leaves” (we previously added “Something About Carina,” “Wherever You Go,” and “Bring It Back.”) Here is another candidate for best-of-the-year honors. A great album, through and through. Phyllis Johnson | “Looking Up (From Down Below)” From her magical, musical shack in Minnesota, which is always shaking with great songs from the popping past, comes a most welcome new number, a jangly mid-tempo tune with vocal echoes of Chrissie Hynde and the songcraft of the Bangles. A classically-styled chord structure and a strong melody take this song to the top of the poppermost. We’re asking Santa for a full album by Christmas. How about it, Phyllis? 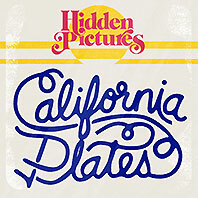 Hidden Pictures | California Plates The uber-talented Richard Gintowt and his crew return less than six months after releasing the superb album, Ottomans, with a short and super-sweet EP that satisfies, as all Hidden Pictures releases do. We’re now playing “I’m So Bored With San Francisco” and the title track. Great pop music, done up in classic style. Groovy. 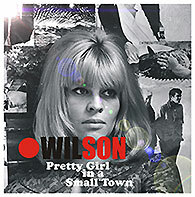 Wilson | “Pretty Girl in a Small Town” and “Little Friend” Thanks to Simon Felton from Pink Hedgehog records for sending us this glorious single, an advance slice of melodic pop heaven from the forthcoming album, Old School, New Rules. “Pretty Girl in a Small Town” is a wonderfully melodic, catchy mix of pop and Americana–very West Coast, USA, even though it hails from the UK. “Little Friend” is a 1930s-styled number with inviting harmonies and Robbie McIntosh on guitar. Brightly lit harmonies abound. To say we can’t wait for the album would be an understatement. That should whet your appetite! We’ll be back tomorrow with another round of new songs and artists added to the Pure Pop Radio playlist. Click on one of the listen links below to hear these new sounds, and a total of 6,800 great melodic pop songs in rotation. 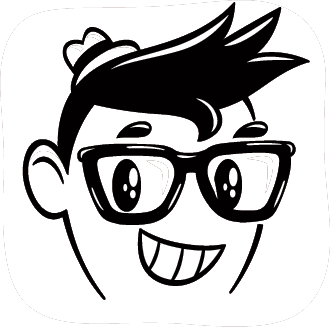 We’re your 24-hour-a-day home for the greatest melodic pop music in the universe! Dig in! This entry was posted in pure pop radio explodes with our latest new music explosion! 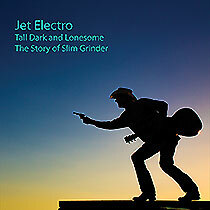 and tagged "little friend", "looking up (from down below)", "many moons ago", "pretty girl in a small town", "wayward song", alan haber, caddy, california plates, drifting sand pure pop radio id, hidden pictures, hot beat stew, jet electro, new songs added to the pure pop radio playlist, peter lacey, phyllis johnson, pure pop radio, reviews, streamlicensing, tall dark and lonesome: the story of slim grinder, the better end, the doughboys, the universal thump, walking the cat: the abbey road ep, wilson. Bookmark the permalink.